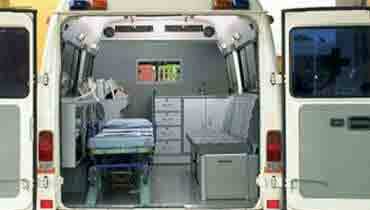 Ambulance Service in New Delhi, Noida, Ghaziabad, Gurgaon. 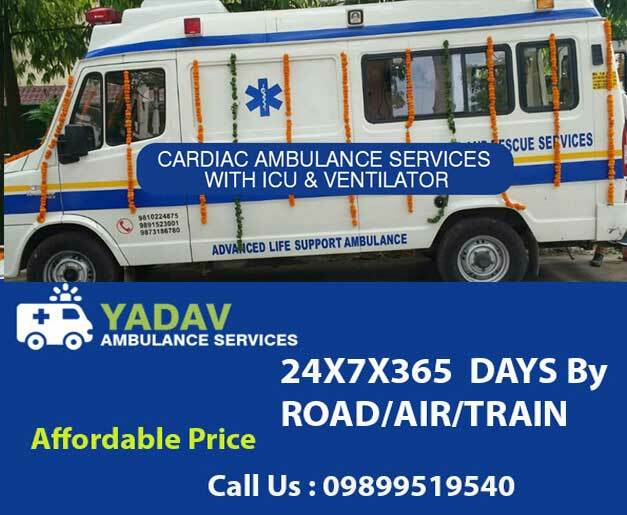 Yadav Ambulance Services in Delhi, Ghaziabad, Noida, Gurgaon and Faridabad providing quick and fast Private Road ambulance services at your door stepin 15 minutes in anywhere in New Delhi to any hospital in by Road, Air or by Railway with Ventilator in Ambulance along with Doctors and Nurses availability on customer request. Yadav Ambulance Services serving for the Nation for Noble Cause at affordable Rates and Prices and you can book your services online in Rohini, Pitampura, Dwarka, South Delhi, East Delhi, Central Delhi, West Delhi, North Delhi, Connaought place, Indira Gandhi Domestic Airport and International Airport. If any patient is coming via Railway then we are also providing Ambulance services near by New Delhi Railway Station, Old Delhi Ambulance services near by New Delhi Railway Station, Nizamuddin Ambulance services near by New Delhi Railway Station. Delhi Ambulance Services for Critical Patients who need Emergency Ambulance in Day or Night at very reasonable rates in New Delhi, Noida, Gurgaon, Faridabad and Ghaziabad. 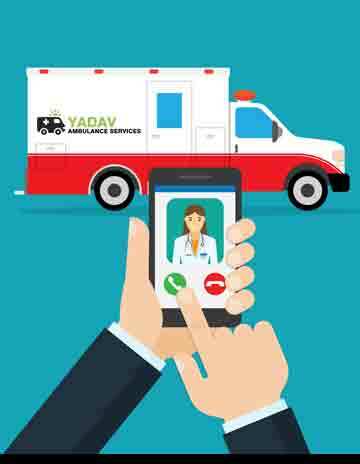 Yadav Ambulance Services providing 24 Hour emergency ambulance support systems with medically equipped and enabled features. 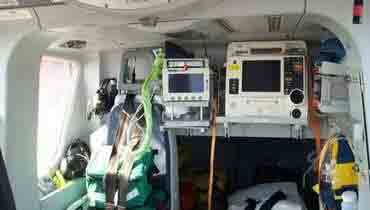 Yadav Ambulance service is one of the most prominent service providers in Delhi. Our ambulance service are being rendered 24 hours emergency to every nook n corners of Delhi.We serve our best to save the life of the patient by providing speedy service on reasonable rates. Our Ambulance service in Delhi is the most cost effect and economical medical facility to critically ill common man or to accident patient.We provide lifesaving medicines and salts, infusions and possible first aid is given in the ambulance.Our priority is to save the life of the patient by giving them early medication. Our Ambulance Number in Delhi is 09899519540 open for 24 hours and all days to give prompt reply to each and every call. We are just a call away weather a patient is coming by Air, Railway or by road we are always on toes to reach in shortest span of time .We understand the sensitivity of the wok that we can save the life of the patient.We work or the betterment of the humanity. We run in all directions of Delhi, NCR day and night at very affordable price. Our ambulance is fully medically equipped with all features like cardiac life support, infusion pumps, modern ventilators and ICU facility, lifesaving medicines and salts to give first aid to the patient.Our service is being appreciated by all leading hospitals as we provided committed quality and economical rates which has made us most trusted brand in areas of Delhi, NCR. Life is precious, we need to respect the fact that very life of the human being is connected with one another andto make it possible we Yadav ambulance service provides you lifesaving experience. We are having well qualified and experienced assistants to be ready in any kind of emergency situation. We are proud of saving lives by providing best quality service through air ambulance in Delhi, road ambulance in Delhi and rail ambulance to our clients at 24*7. Ambulance service in Delhi these days is used on daily bases due to increasing diseases, accident prone areas, increasing vehicle and rash driving . Our well competent medical team is always ready to give possible first aid to any serious and non-serious patient during transporting him/her to the hospital. Our ambulance has been serving the patients of various renowned hospitals of Delhi like Ganga Ram Hospital, Fortis Hospital, Apollo Hospital, AIIMSHospital, Max Hospital, Rajiv Gandhi Hospital etc. 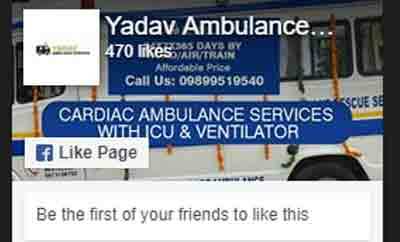 Yadav Ambulance Services, Providing Best Ventilator Ambulance Services in Delhi and NCR Region, also Providing Services in North Delhi, South Delhi, East Delhi, West Delhi, Dwarka, Shahdara, South Ex, Mayur Vihar, Loni, Model Town, Patel Nagar, Bawana, Okhla. 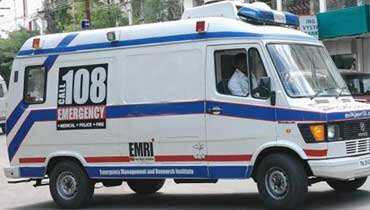 Road Ambulance Services : Road ambulance Services in Delhi with Emergency and 24 hour Ambulance Services in Delhi also providing Services like Oxygen Ambulance Services, AC Ambulance Services in Delhi, Safe Road Ambulance Services. Delhi Ambulance Services : Yadav Ambulance Services providing Day & Night Ambulance Services in North India specially in All the Big Hospitals also providing Emergency Ambulance Services and Private Ambulance Services in India.